Our dedication to our customers runs far beyond our dealership, as we make it a point to give back to the local community that’s helped support us over the years. After all, our roots run deep in Omaha and the surrounding towns, and we want to do our part to help our neighbors. We treat all of our customers as if they’re family, and we think our family deserves a better kind of dealership. When you come to our Omaha VW dealership, we’ll warmly welcome you into our showroom, where you’ll have the opportunity to experience all the latest and greatest new Volkswagen models. If you’re coming in for service, please know that we make this process quick and easy. Simply pull into our service center, and we’ll take it from there. While you wait, enjoy our comfortable lounge which is fully stocked with coffee and snacks, as well as TV and complimentary Wi-Fi. No matter what you need, we promise to be there for you! Customer First: We love getting to know our customers, and we think our friendly relationship-building skills are what ensures you get the vehicle that you really want. Once we know you, we know we will be able to find your perfect fit. No Pressure: We promise to never use forceful sales tactics. You are under no pressure here. We want you to take your time because we don’t just want you to be happy with the vehicle that you have chosen today, we want you to be happy with it for many years to come! Service Beyond the Sale: Once you decide on your next car or SUV from Baxter Volkswagen, we will explain all of the features of your new car so you can drive with confidence. We will always be here to answer questions you might have about your car’s features or its maintenance needs. 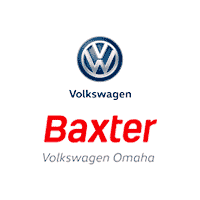 Stop by Baxter Volkswagen Omaha in Omaha, NE, today, and experience a better kind of dealership!